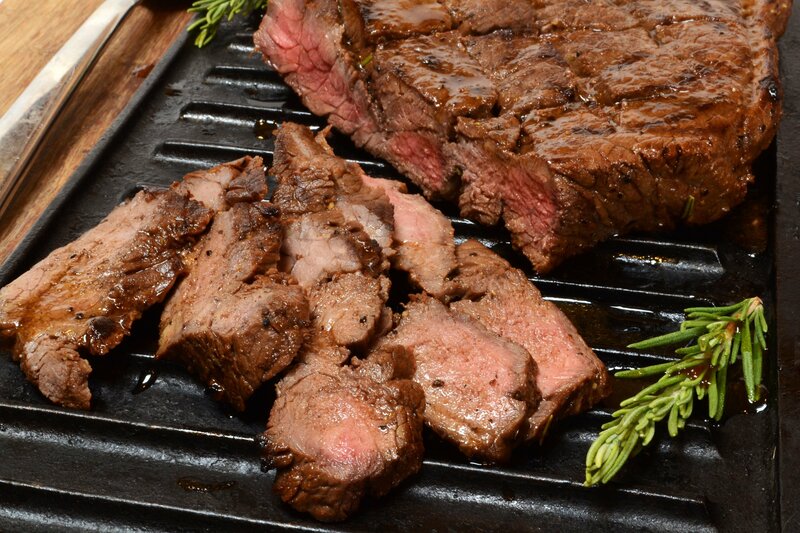 Best-selling cookbook author and host of PBS’s Primal Grill, Steven Raichlen shares a truly revered Rescued Recipe in his brand new cookbook, “Man Made Meals: The Essential Cookbook For Guys.” The recipe is for a sensational meat marinade, sure to be your go-to favorite for skirt steak, flank steak, or London Broil. As the story goes, a Filipino-born immigrant named Sammy Ariola was at the end of his life. Rodolfo Lagua, a thirty-year California barbecue veteran had been his caretaker. “I have no money for you to inherit,” said Ariola, as he lay on his deathbed, “but I’ll give you the recipe for my marinade.” Raichlen, researching the art of grilling tri-tips for his cookbook, met Lagua, and now the marinade is in safe-keeping in Raichlen’s cookbook. “Man Made Meals” is loaded with simple and speedy recipes and is packed full of practical tips, techniques, and secrets any cook would love. Raichlen is the founder of Barbecue University, which offers three-day intensive courses on live fire cooking in Colorado Springs. Some of his best-selling cookbooks include “The Barbecue Bible,” “BBQ USA,” and “Planet Barbecue.” He battled and defeated the Iron Chef in Japan in “Battle of the BBQ Gods” and has been named Cooking Teacher of the Year by Bon Appétit Magazine. Raichlen can now add Recipe Rescuer to his long list of accomplishments. Rinse and cut lemons in half and squeeze the juice into large glass or plastic bowl. Dice the rind of 1 lemon and add to juice. Add soy sauce, vinegar, oil, onion, garlic, rosemary, coriander, and pepper, and whisk. Reserve 1 cup of mixture to use as a sauce. Using a chef’s knife, lightly score the steak in a crosshatch pattern on both sides, making ⅛" cuts ¼" apart (this helps the marinade flavor the meat and prevents the flank or skirt steak from curling as it cooks). Place the steak in a glass or ceramic baking dish or resealable plastic bag. Whisk marinade again and pour over meat, turning the meat a couple of times to coat both sides. Cover with plastic wrap and refrigerate. Marinate for 2-4 hours, turning meat a couple of times. When ready to cook, drain the meat, scraping off most of the marinade with a rubber spatula. Cook steak as you prefer (broiler, in skillet or on grill). When done, transfer meat to a cutting board and let rest 5-10 minutes. Cut the meat against the grain in thin slices. Spoon the reserved sauce over the slices and serve at once.